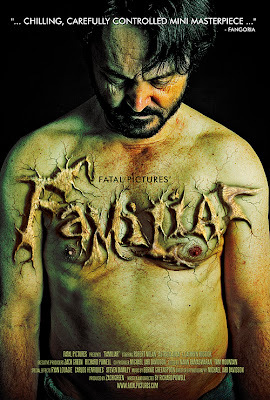 New Horror Short FAMILIAR Creating Quite A Buzz ..
Toronto independent film producer Zach Green and his partner Writer/Director Richard Powell announced his new horror film the Familiar is set to hit the film festival circuit very soon. The film stars Robert Nolan, Astida Auza and Cathryn Hostick as the seemingly idyllic yet ultimately doomed Dodd Family. Read full article here.